“We ask God, the victims of abuse, their families and the Church community for forgiveness for all the harm done to children and young people and their relatives” – the Polish Bishops wrote in a statement published on November 19 by the Plenary Assembly of the Polish Bishops’ Conference dedicated to sexual abuse of children and youth by some members of the clergy. The Polish Bishops called on the victims to report the harm suffered to ecclesiastical superiors and to relevant state authorities. They also reminded of the system of protection of children and young people that already functions in the Polish dioceses and of the help that victims of sexual abuse can receive, as well as how to react in the case of sexual crimes. The perpetrators of these acts are called to conversion and sincere repentance. 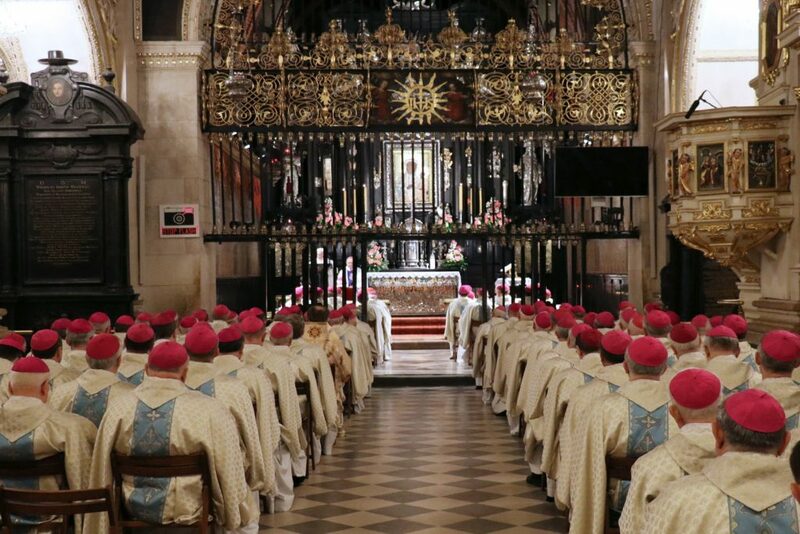 The Polish Episcopate pointed out that in recent years, the Church has been “shaken by painful information from other countries about the sexual abuse of children and young people by some members of the clergy.” As the Bishops underscored that these crimes are for the victims a source of the deep suffering, which marks their lives as well as the lives of their families and ecclesial communities. “We note with sadness that in Poland too there are cases of sexual abuse of children and young people by some members of the clergy and those working in the Church. We repeat after Pope Francis: ‘The pain of the victims and of their families is also our pain.’ In order to identify the causes of these deeds and assess their scale, we have begun collecting the necessary data,” the statement reads. The Polish Bishops stressed that, for several years now, efforts have been made to eliminate crimes related to sexual abuse among clergy. “In close unity with Popes Benedict XVI and Francis, the principles for responding to this evil were elaborated. Any sign of possible criminal acts leads to a preliminary investigation, and if the probability is confirmed, the Holy See and the prosecutor’s office are informed,” as indicated the statement. It was also recalled that all the dioceses and many religious provinces have appointed delegates, who have been adequately trained by the Child Protection Center operating since 2014 and are authorized to receive the reports on the sexual abuse of minors by clerics. The delegates also help the victims by providing for psychological, legal, and pastoral support. “Moreover, for 5 years now, the coordinator for the protection of children and youth, appointed by the PBC, organizes many formation meetings for the diocesan and religious clergy that are slowly but effectively changing attitudes and raising awareness. We are also preparing in dioceses, orders and religious congregations a prevention system to help to protect children and adolescents from potential sexual abuse. We want ecclesial communities to be a safe place for children and young people and to make their safety a priority for the whole society. 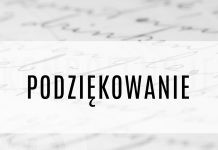 On this occasion, we appeal to all those who take this to heart and effectively combat threats against children and young people, especially in the sphere of the Internet,” states the document of the Polish Episcopate. In recent years, the Church has been shaken by painful information from other countries about the sexual abuse of children and young people by some members of the clergy. These crimes are a source of the deep suffering of the victims, which marks their lives, the lives of their families, and the ecclesial communities. Their pain “cries out to heaven [and] was long ignored, kept quiet or silenced” (Pope Francis, Letter to the People of God, 18 Aug. 2018). These crimes “have obscured the light of the Gospel to a degree that not even centuries of persecution succeeded in doing” (Benedict XVI, Pastoral Letter to the Catholics of Ireland, 19 Mar. 2010). For many believers, especially for young people who are sincerely looking for God, sexual scandals involving clergy are becoming a hard test of faith and a reason for great scandal. In this painful situation, Pope Francis, continuing along the line designated by Saint John Paul II and Benedict XVI, addressed a letter to the People of God. In it, he calls to account for the evil sexual abuse of minors and to punish the guilty, to sympathize with the victims, to make increased efforts to ensure protection for children and young people and to convert, pray, and repent for the victims of all kinds of abuse: “I invite the entire holy faithful People of God to a penitential exercise of prayer and fasting, following the Lord’s command. This can awaken our conscience and arouse our solidarity and commitment to a culture of care that says ‘never again’ to every form of abuse” (Pope Francis, Letter to People of God, 18 Aug. 2018). The goal of this determined effort undertaken with “clarity and determination” is to renew the mission of the Church in the modern world (cf. Saint John Paul II, Address to American Cardinals, 23 Apr. 2001). In this spirit, the Church in Poland wants to be increasingly effective so that the safety of children and young people, according to the will of the Lord, will become a priority for all communities and families. We note with sadness that also in Poland there have been cases of sexual abuse of children and young people by some members of the clergy and those working in the Church. We repeat with Pope Francis: “the pain [of these children and adolescents] and the pain of their families, is our pain.” In order to identify the causes of these deeds and assess their scale, we have begun collecting the necessary data. We are aware that the problem of sexual abuse exists in many environments, including families. However, when it appears among the clergy, it becomes the source of a particular scandal. The disillusionment and the outrage are all the more painful because children, instead of receiving caring love and accompaniment as they seek the closeness of Jesus, experience violence and the brutal detachment from their dignity as children. Faithful to the words of Christ, since the beginning, the Church has recognized such forms of behavior as an extremely grave sin, because “If any of you put a stumbling block before one of these little ones who believe in me, it would be better for you if a great millstone were fastened around your neck and you were drowned in the depth of the sea. (…) woe to the one by whom the stumbling block comes!” (Mt 18:6–7). We ask God, the victims of abuse, their families and the Church community for forgiveness for all the harm done to children and young people and their relatives by clerics, consecrated persons and lay workers in the Church. We ask the Lord to give us light, strength, and courage to resolutely combat the moral and spiritual corruption that is the main source of sexual abuse against minors. We ask the Lord to make our efforts to create an open and child-friendly environment in the Church effective. For many years, the Polish Episcopate has been taking actions aimed at eliminating these crimes among the clergy. In close unity with Popes Benedict XVI and Francis, the principles for responding to this evil were elaborated. 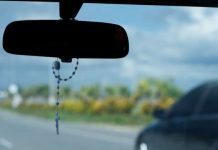 Any sign of possible criminal acts leads to a preliminary investigation, and if the probability is confirmed, the Holy See and the prosecutor’s office are informed. We ask those who have been harmed by the clergy to report the damage suffered to ecclesiastical superiors and to the appropriate state authorities. “Humbly we owe our gratitude to each of them and to their families for their great courage in shedding the light of Christ on the evil sexual abuse of minors” (Pope Francis, Speech at the Meeting with Bishops Taking Part at the World Meeting of Families, 27 Sept. 2015). In each diocese and in many ecclesiastical provinces a delegate properly trained by the Child Protection Center, operating since 2014, has been appointed and is authorized to receive reports on the sexual abuse of minors by clerics. This is also intended to help the victim to get psychological, legal, and pastoral support. In this way, we want to help the victims to take the steps necessary to overcome the consequences of the damage suffered. Moreover, for 5 years now, the coordinator for the protection of children and youth, appointed by the PBC, organizes many formation meetings for the diocesan and religious clergy that are slowly but effectively changing attitudes and raising awareness. We are also preparing in dioceses, orders and religious congregations a prevention system to help to protect children and adolescents from potential sexual abuse. We want ecclesial communities to be a safe place for children and young people and to make their safety a priority for the whole society. On this occasion, we appeal to all those who take this to heart to effectively combat threats against children and young people, especially in the sphere of the Internet. We are also more attentive to the human and spiritual formation in the seminaries and to priestly formation. For this purpose, for several years, formation is given the educators in the seminaries so that they may work competently on the formation of future priests and avoid admitting immature people, unable to faithfully pronounce their vows and promises, to become members of the clergy. In order for the actions taken to bring the expected fruits of purification and to building a culture directed to the true good of children and youth, the efforts of all the members of the Church community must be united so that we may learn to identify and eliminate, wherever possible, all the factors that lead to this crime. We urge the educators and the guardians of children and young people, in kindergartens and in Catholic schools as well as in care and educational institutions, to acquire the appropriate knowledge and skills, so that without waiting for the necessary legal regulations, all institutions run by the Church may become pioneers of prevention. We address the same appeal to those responsible for Catholic movements and youth organizations. 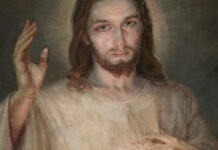 We ask all the faithful—lay people, priests, consecrated persons and members of contemplative orders for increased prayer and penance for the victims of sexual abuse and for their families; for clerics and religious who are living immorally and harming children and young people, and also for people whose deeply hurt by offending actions of priests. In accordance with the decision of the Polish Bishops’ Conference, the first Friday of Lent will be a day of reparation and fasting in all our dioceses. We especially recommend the Holy Father, Bishops and priests who sincerely and zealously engage in the ecclesial services severely affected by the corruption and immorality of their confreres. Let the sincere prayer, sacrifice, and penance offered in this intention as well as generous alms granted to the poor open our hearts to the spirit of authentic conversion; let us live in harmony and love with all people of good will and fight against all abuses of power, sexuality, and conscience, in all environments, especially in the Church communities where children live and grow (cf. Pope Francis, Letter to the People of God, 18 Aug. 2018). At the same time, we would like to thank all those who, for the sake of the holiness of the Church and her pastors, boldly reveal the sin and crime of abuse. We are grateful for the prayer of reparation undertaken in the spirit of penance. In closing, we would like to turn to all the perpetrators who used their engagement in the Church to commit criminal acts. We want to address them with reference to the words of Pope Benedict XVI in his Pastoral Letter to the Catholics of Ireland (19 Mar. 2010). In obedience to the Gospel’s words about the liberating power of truth, in the name of God’s people wounded by your deeds, we tell you honestly that you have betrayed innocent young people and their parents who trusted in you. You have forfeited the esteem of the society and brought shame and dishonour upon your confreres. Those of you who are priests violated the sanctity of the sacrament of Holy Orders in which Christ makes himself present in us and in our actions. Together with the immense harm done to victims, great damage has been done to the Church and to the public perception of the priesthood and religious life. We urge you to examine your conscience, take responsibility for the sins you have committed, and humbly express your sorrow. Sincere repentance opens the door to God’s forgiveness and the grace of true amendment. By offering prayers and penances for those you have wronged, you should seek to atone personally for your actions. Christ’s redeeming sacrifice has the power to forgive even the gravest of sins, and to bring forth good from even the most terrible evil. At the same time, God’s justice summons us to give an account of our actions and to conceal nothing. Openly acknowledge your guilt, submit yourselves to the demands of justice, but do not despair of God’s mercy. May Mary, the Mother of Beautiful Love, ask her Son to give us his grace so that we may express our sincere sorrow and act with determination in a courageous struggle against every kind of danger, coming from some clerics, inflicted on children and young people. Let us not forget to ask for conversion for the perpetrators of these wrongs. Let us also ask for the entire Church, both clergy and laity, the spirit of unity and Christian love of our neighbor. Let us be strengthened by the example and intercession of martyr priests who gave their lives in defense of human dignity. Jasna Góra, November 19, 2018.